Show Us Your CES Gadgets and Gizmos for Our Photo Challenge - trendistic.com: ever tried. ever failed. no matter. try again. fail again. fail better. In the photo, above, you can see what our senior tech analyst, Christina Warren, will be bringing. 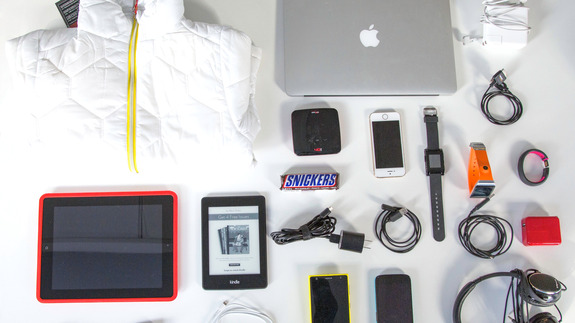 Her collection includes a Scottevest Lola Jacket for all of her gadgets, a Pebble smartwatch, the Kindle Paperwhite 2013 and a mobile hotspot, among other items.